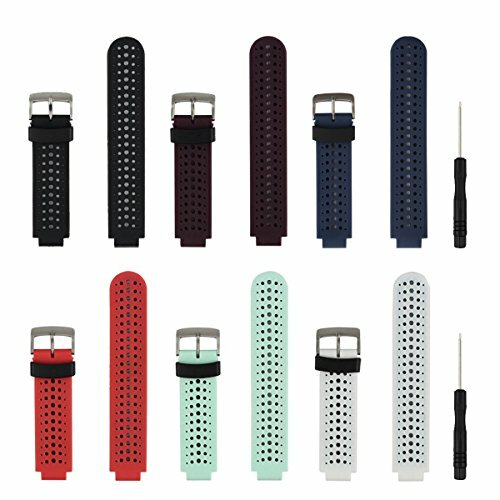 If you are tired of the old color of the original Garmin Forerunner 230/235/620/630/735XT/235Lite watch band, you may consider our band as a good substitute. We have more different colors/ patterns for your option in relative to the original. For every order, we all offer the necessary units include band, pins and pins removal tools. You can remove and replace your current watch band very easy. We offer 30 days money back gurantty, ensure you 100% satisfactory, please buy with confidence! If you have any questions about this product by Baaletc, contact us by completing and submitting the form below. If you are looking for a specif part number, please include it with your message.